Back in the middle of July, I was invited to discover the Giorgio Armani Eye and Brow Maestro with International Face Designer Eoin Whelan. I learned about the innovation of the product, the science behind it, and those all elusive application techniques. Now, those of you who know me well might be wondering why I, the girl who never really bothers with brows, went to an event to learn about what is primarily a brow product. Well friends, the answer is simple. I quite like my brows, they give me no trouble, but I do feel that since I went from blonde to brunette that they are a bit lost on my face, and sometimes I would like them to just pop out a bit more. I'm happy with the shape of them, and I dare not get them tinted in case they turn out black or I decide I want to turn to the blonde side of life again. If you're in a similar boat to me, or you are an old hand at filling in your brows, keep reading to hear about a pretty neat product. 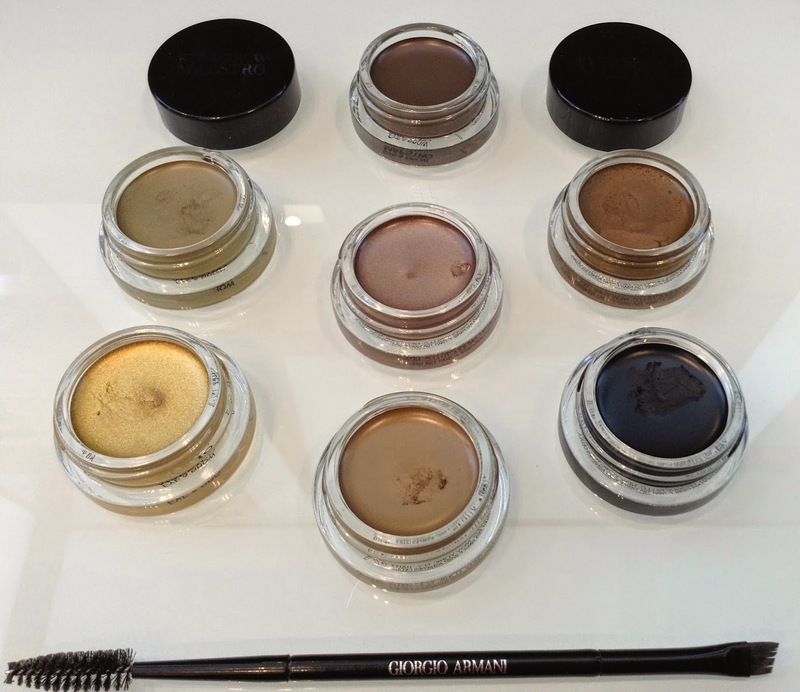 The new Armani Eye and Brow Maestro is a multifunctional cream product that works as a brow gel, gel eyeliner, eye shadow base, cream eyeshadow and Victoria Beckham even rocked one as a contour on the cover of Vogue (as you do). There are nine shades available- 6 in the regular line and three one shots, and there is one China Blue colour which is available in the States that is not available in Europe. The actual shades themselves come in tones that match to the natural hair colour and are not completely matte (so your brows would not look completely flat) and have a bit of a lustre. There is also a newly released double ended brush to assist with perfect application. Now, if what you are hearing all sounds pretty standard for eyebrow colour from a pot, then just keep reading. 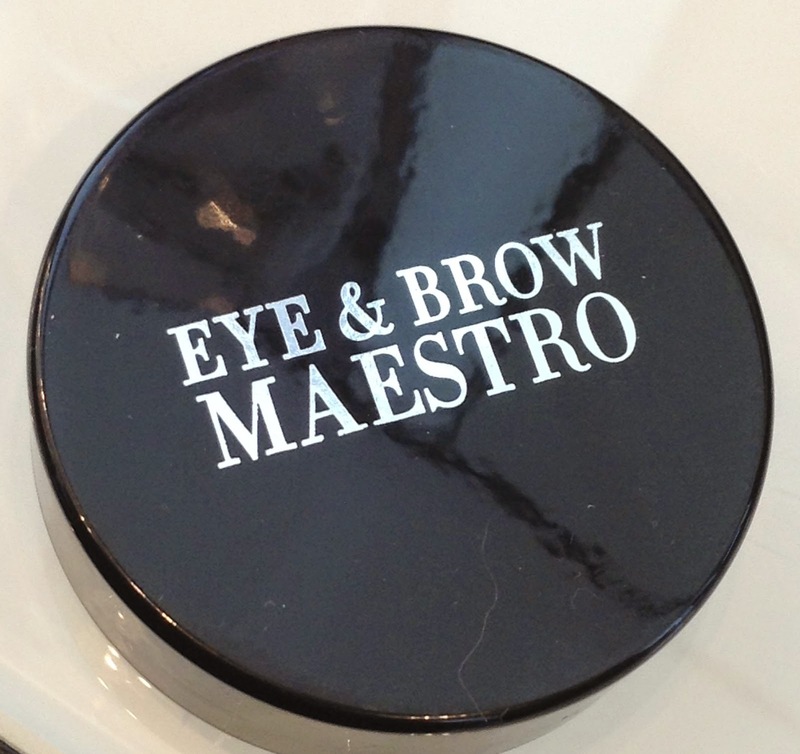 Unlike most brow powders that can leave your brows looking stencilled on and flat, the unique gel formula of the Eye and Brow Maestro will flatter your own brows, define individual hairs but still leave your brows looking solid. To achieve the best effect, Eoin demonstrated how starting from the arch, working back into the inner corner and up and out into the brow would help create the perfect brow shape. Eoin also demonstrated how to create an ombre eyebrow effect using the colour that suits your natural colour the most and then the next colour offering up. 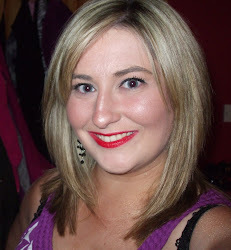 This provided a gorgeous, subtle but striking ombre brow effect. Eoin also showed us how applying the gold shade where the light catches the brow can provide a 3D effect and how a little black can make the brow look more defined. I was shade matched to the colour Almond, which I never would have picked out for myself in a million years, but it is a gorgeous colour and does exactly what I ask of it. You can see from these pictures- before and after, the effect that it has. If you are interested in these, pop along to your nearest Armani counter and get shade matched, or if you are more confident of your shade selection abilities than I am, you can also order online from Brown Thomas. 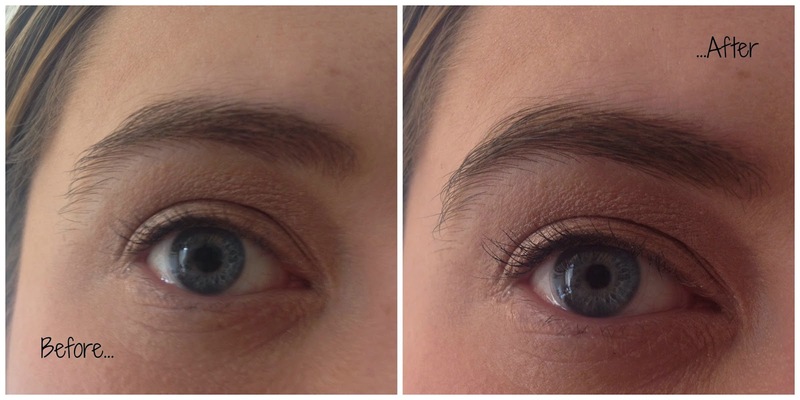 The Eye and Brow Maestro is €31 and the dual-ended applicator with spoolie is €24. Does this sound like something that might appeal to you? Do you also suffer with brow woes? Love how they have such a good range of colours, that's one thing I often struggle with with brow products.